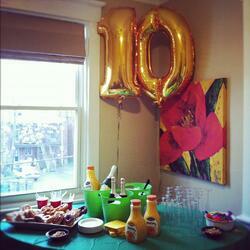 Not only have we been celebrating the award, but we are also celebrating our 10-year anniversary! With this will come some exciting changes including our new tagline: "Create. Connect. Inspire!" We believe it captures how SoftChalk gives educators an easy, affordable way to create, organize and share rich content that captures students' imaginations and inspires learning. The tagline will be visible in our new marketing initiatives as we get set to introduce SoftChalk to more educators across the country. Read the full e-news here.